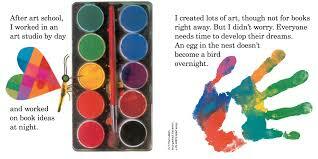 I first learned about Lois Ehlert from our kindergarten team. With every unit they taught, they requested a large treasure pile of books that connected to the theme. 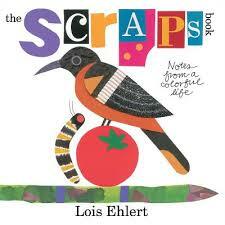 Lois Ehlert’s books were always on the list. And now, she has a memoir that looks back on her life and connects it to her art. Ehlert tells us about growing up, her family and how she learned to create art. There are a few photographs,but Ehlert mostly uses her art to tell her story. 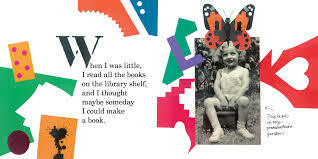 And she goes into quite a bit of detail to tell us how she gets ideas, turns them into collage, and creates a book. Here a re a few sample pages. 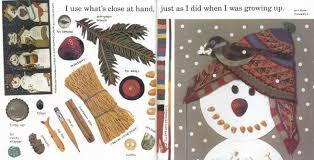 The book stands alone, but would be a great part of an author study or as part of an art unit on collage. You could even have kids write their own autobiography and collage it. No matter how you use it, this is a must read.